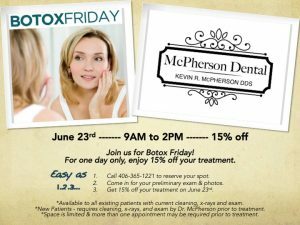 Join us and get the latest information from Dr. Kevin McPherson and his team about some of the new and highly specialized services offered at McPherson Dental. New Patient Special during the month of May! Spring into a new smile with a FREE Sonicare toothbrush for New Patients until May 31st. *New Patient cleaning, exam and x-rays required.